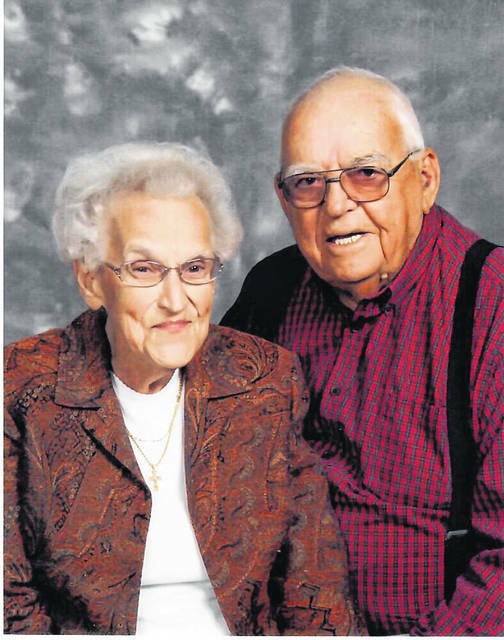 Rex and Catherine Shenefield will celebrate the blessing of their 70th wedding anniversary on July 18. They were married at the Colwell home near Danville, Ohio, on July 18, 1948. They reside at the farm they purchased shortly after their marriage and continue to play an active part in its operation. Their children, Carl and Lue Shenefield and Linda and Roy Vaughan also reside on the family farm. The couple was blessed with four granddaughters and seven great-grandchildren. Rex and Catherine’s example of devoted love and trust in God continue to bless family and friends. They will celebrate their anniversary with family later this summer. Cards of congratulations may be sent to them at 34359 Silo Road, Langsville, Ohio 45741.